Place 4 clean 250 ml jars on a rack in a boiling water canner; cover jars with water and heat to a simmer. Set screw bands aside, heat lids in hot water, not boiling. 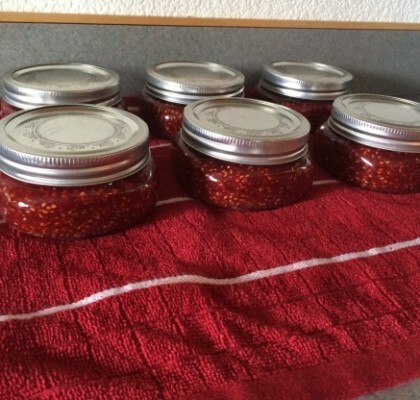 Keep jars and lids hot until ready to use. Crush raspberries on lay at a time. Measure crushed raspberries and fruit juice and chipotle peppers into a large, deep stainless steel saucepan. 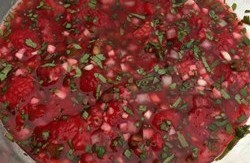 (If desired, press raspberries through a sieve to remove seeds before measuring.) Whisk in No Sugar Needed Fruit Pectin until dissolved. Stirring constantly, bring fruit mixture to a boil over high heat. Add sugar and return mixture to a boil for 3 minutes. Remove from heat and skim foam. 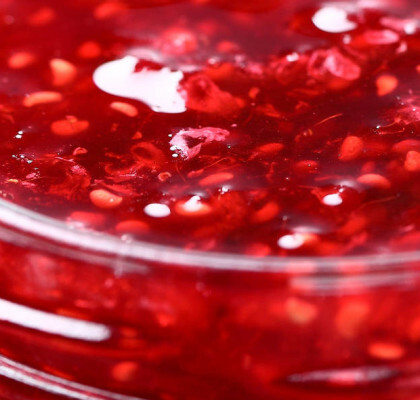 Quickly ladle jam into a hot jar to within 1/4 inch of top of jar (headspace). 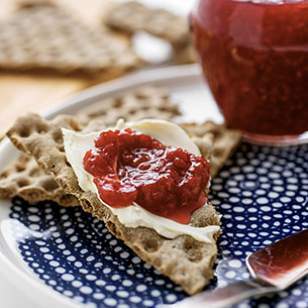 Using a non-metallic utensil, remove air bubbles and adjust headspace if required by adding more jam. Wipe jar rim removing any food residue. Screw band down until resistance is met, then increase to fingertip tight. Return filled jar to rack in canner ensuring jars are covered by water. Repeat for remaining jam. When canner is filled, ensure that all jars are covered with 1 inch of water> Cover canner and bring water to a full rolling boil before starting to count processing time. All altitudes up to 1000 ft, process - boil filled jars - 10 minutes. Remove jars without tilting. Cool upright, undisturbed for 24 hours. DO NO RETIGHTEN screw bands. After cooling check jar seals. Sealed lids curve downward. Remove screw bands; wipe and dry jars and bands. Replace screw bands loosely on jar or store them without. Keep jars in a cool, dry place.